An artist in San Francisco has come up with an ingenious way to replace her lost eye – by installing a web camera in her face. Well, that's what Tanya Vlach eventually wants to do, and this foray into bionic territory is all in the name of art. Writing on her blog, Vlach comments: "I am attempting to recreate my eye with the help of a miniature camera implant in my prosthetic/artificial eye. "The intraocular installation of an eye-cam will substitute for the field of vision of my left eye that I lost in 2005 from a car accident. "While my prosthetic is an excellent aesthetic replacement, I am interested in capitalising on the current advancement of technology to enhance the abilities of my prosthesis for an augmented reality." Vlach lost one of her eyes in a car accident in 2005, and is shunning regular prosthetics for something a bit more tech-based. 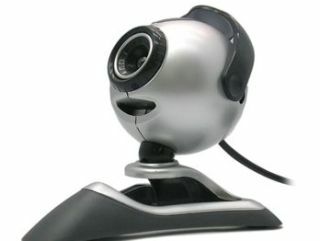 And it's not just any webcam that Vlach wants, she's created a technical wish-list, which includes: 3X optical zoom, a 4GB SD card slot and still-image capabilities. Speaking to the New York Daily News, Vlach said: "There have been all sorts of cyborgs in science fiction for a long time, and I'm sort of a sci-fi geek.